Few Saints have aroused so much admiration and enthusiasm immediately after their death; few have acquired a more astonishing popularity everywhere on earth; few have been so rapidly raised to the altars as was this holy young Carmelite. Marie Françoise Thérèse Martin, known as the Little Flower of Jesus, was born January 2, 1873 at Alençon in Normandy, France, of very Christian parents. The Martins, who lost four of their little ones in early infancy or childhood, regarded their children as gifts from heaven and offered them to God before their birth. Thérèse was the last flower of this blessed stem, which gave four Sisters to the Carmel of Lisieux, still another to the Visitation of Caen. The five sisters were left without their mother, a victim of cancer, when Thérèse was only four years old; but her two oldest sisters were of an age to take excellent care of the household and continue the Christian character formation of the younger ones, which their mother had initiated. Their saintly father was soon to see his little flock separated, however, when one after the other they left to enter religious life. He blessed each one and gave them all back to God, with humble gratitude to God for having chosen his daughters. From childhood Thérèse had manifested a tender piety which her naturally lively temperament could not alter. Her mother’s death affected her profoundly, however, and at the age of nine she was visited with a severe trial in the form of an illness the doctors could not diagnose, and which seemed incurable. She was instantly restored to her ordinary good health by the Virgin Mary, in answer to her desolate sisters’ prayers; Thérèse saw Her statue become animated, to smile at her with an ineffable tenderness as she lay on her bed of suffering. Before the age of fifteen Thérèse already desired to enter the Carmel of Lisieux, where her two eldest sisters were already nuns; a trip to Rome and a petition at the knees of the Holy Father Leo XIII gave her the inalterable answer that her Superiors would regulate the matter. Many prayers finally obtained an affirmative reply to her ardent request, and four months after her fifteenth birthday she entered Carmel with an ineffable joy. She could say then, I no longer have any desire but to love Jesus even to folly. She adopted flowers as the symbol of her love for her Divine Spouse and offered all her little daily sacrifices and works as rose petals at the feet of Jesus. Divine Providence gave to the world the autobiography of this true Saint, whose little way of spiritual childhood was described in her own words in her Story of a Soul. She could not offer God the macerations of the great soldiers of God, only her desires to love Him as they had loved Him, and to serve Him in every way possible, not only as a cloistered nun, but as a missionary, a priest, a hero of the faith, a martyr. She chose all in spirit, for her beloved Lord. Later she would be named patroness of missions. Her spirituality does not imply only sweetness and light, however; this loving child of God passed by a tunnel of desolate spiritual darkness, yet never ceased to smile at Him, wanting to serve Him, if it were possible, without His even knowing it. When nine years had passed in the Carmel, the little flower was ready to be plucked for heaven; and in a slow agony of consumption, Thérèse made her final offering to God. She suffered so severely that she said she would never have believed it possible, and could only explain it by her desire to save souls for God. She died in 1897, was beatified in 1923 and canonized in 1925. And now, as she foretold, she is spending her heaven in doing good upon earth. Countless miracles have been attributed to her intercession. 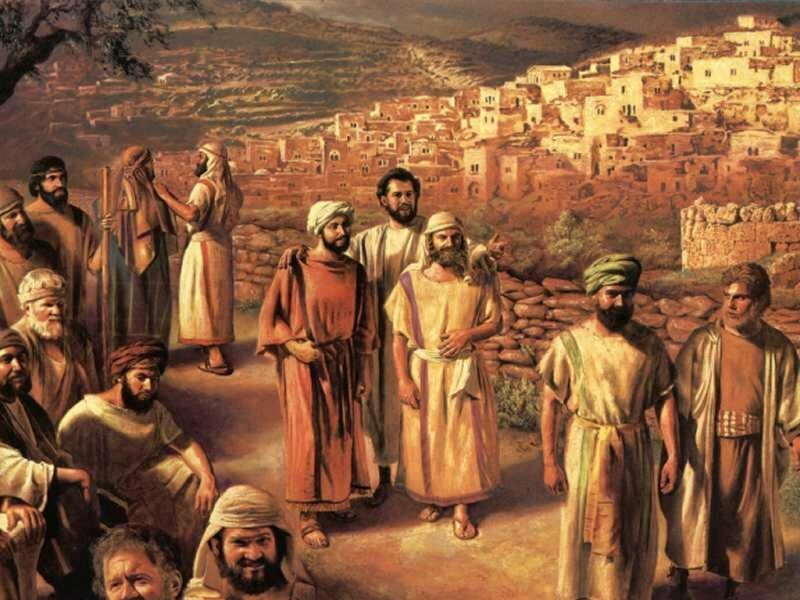 “The Lord appointed seventy-two others whom he sent ahead of him in pairs to every town and place he intended to visit. Stay in the same house and eat and drink what is offered to you, for the laborer deserves his payment. I tell you, it will be more tolerable for Sodom on that day than for that town.” – Luke 10:1-12.